Dr. Luis M. Tumialán offers advanced treatment of neck and back pain at his Scottsdale spinal surgery center. Whether a patient's condition calls for guidance in non-invasive care or minimally invasive spine surgery, Dr. Tumialán will offer his expertise to ensure the optimal procedure or combination of procedures are performed to alleviate pain and restore as much mobility as possible. Many of our patients experience issues with degenerative disc disease. Let's consider the basics of this condition and when surgery may be the best option. Not technically a "disease" in the classical sense of the word, the term "degenerative disc disease" is used to describe the gradual changes to the discs of the spine as part of the natural aging process. You see, between each vertebrae is a spongy disc. These spinal discs (there are 23 total) help serve as a kind of shock absorber between the vertebrae while also helping with mobility and flexibility of the spine. These are essential structure for wellness and a healthy back. Over time, these discs degenerate due to loss of fluid in the discs or small tears and cracks in the outer layer of the discs. This often occurs in the lower back (the lumber region) and the neck, and injuries to the spine faster degeneration of the spinal discs. When degenerative disc disease occurs, it can result in major changes to your mobility and overall quality of life. Is Surgery Necessary for Degenerative Disc Disease? Not always. In fact, many neck and back pain specialists turn to non-invasive and minimally invasive therapies before they even consider surgical treatment. This tends to include the use of medications as well as ice and heat to help manage and relieve pain. Exercises and lifestyle changes may also be recommended in order to address these matters. When these non-invasive and minimally invasive therapies fail to relieve pain, or when a patient's condition worsens due to related osteoarthritis, herniated discs, or spinal stenosis, that is when surgery is recommended. Spinal Fusion – Spinal fusion involves joining two vertebrae together, immobilizing that portion of the spine in which the disc has degenerated. This helps reduce the pain experienced while that part of the spine moves. 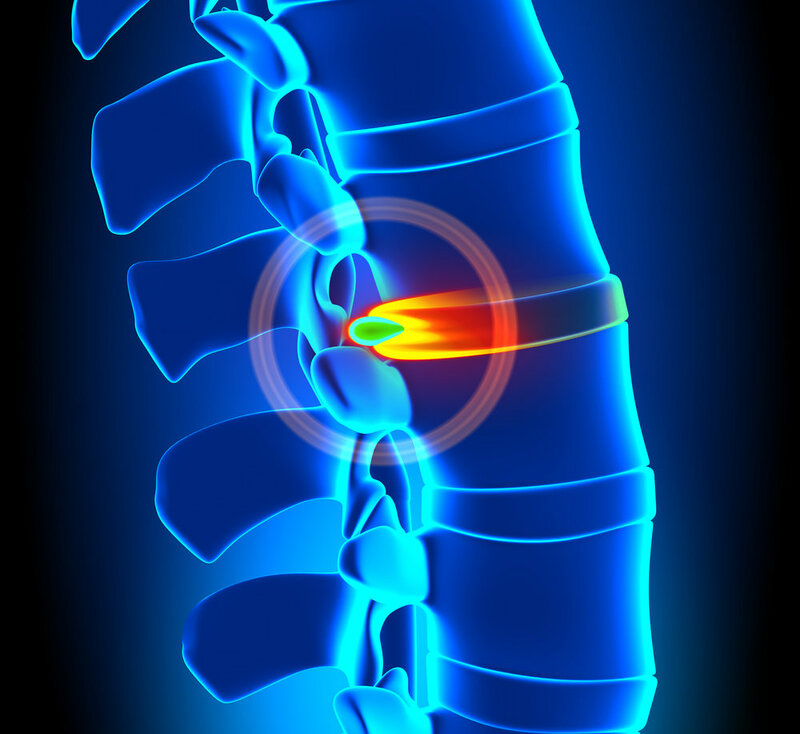 Artificial Disc Replacement (ADR) – A more complicated surgery, ADR involves replacing the degenerated disc with an artificial one while maintaining the proper height/amount of space between the vertebrae. Additional surgical options can be discussed during the consultation process. The ideal surgery for you and your needs can be discussed in greater detail during your visit. If you would like more information about spinal surgery and how we can help you achieve better health and wellness, it's important that you contact our advanced spinal surgery center today. Dr. Luis M. Tumialán and the entire team here will help you achieve better wellness and mobility.